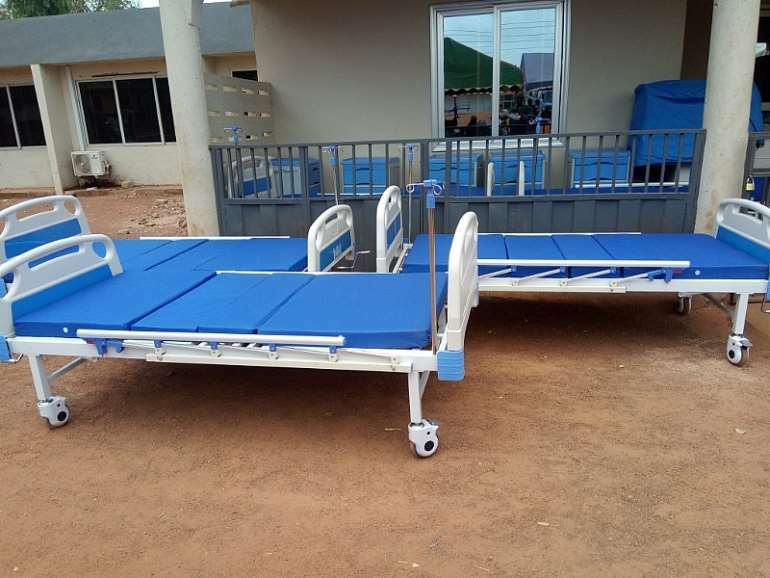 The Ghana Chamber of Mines has donated an incubator, six hospital beds and other equipment to the Bimbilla Government Hospital to help deliver quality healthcare. The hospital serves the people of Nanung and it is the main referral centre on the Eastern corridor. It serves about five districts along the corridor. Citi News last year reported how children share beds and others treated on the floor at the facility. The report according to the Chief Executive Officer for the Ghana Chamber of Mines, Sulemanu Koney says was heart breaking. Mr. Koney says as part of the Chamber of Mines’ corporate strategy is to put people first by improving their well-being under sustainable development. 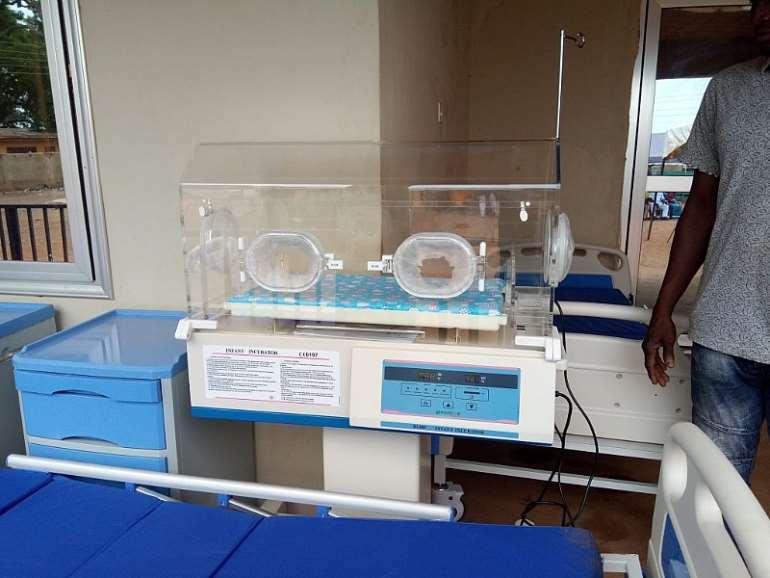 On his part, the Medical Superintendent of the Bimbilla Government Hospital, Dr Abdulai Osman underscore the success of the hospital as it has significantly reduced the maternal mortality rate of 279/100,000 live births in 2017 to 47/100,000 live births in 2018 among others. The Bimbilla hospital emerged first at the Northern Regional Annual Performance Review for 2018 with the ultimate passion as the best performing hospital in the region with some key indicators like an improvement in neonatal mortality, improvement in infant mortality among others. Aside from this, the hospital is equally faced with other challenges which hinder health delivery. The Medical Superintendent expressed delight with the donation and assured the Chamber of Mines that the equipment would be put to good use. 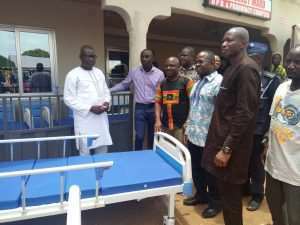 The Municipal Chief Executive for the area Abdulai Yaqoub assured the management of the hospital that his outfit will take steps to address some of the challenges. Earlier the Chief Executive Officer paid a courtesy call on the Acting Overlord of Nanung, Nyelinboligu Naa Yakubu Andani Dassana at his palace. The Regent urged the Chamber to do more business in Nanung as it has the potential of becoming a business hub along the Eastern corridor. The Bimbilla Government Hospital became a district hospital in 2004 with an infrastructural expansion. The hospital has a total working staff of 142 made up of one medical officer, two physician assistants, 7 midwives, 57 nurses and other paramedical staff. The hospital is a 120 bed capacity with seven wards, an outpatients department, pharmacy, reproductive and child health department, an operating theatre, medical records and a psychiatry unit.